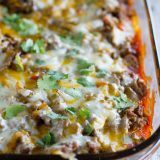 Biscuits are coated in taco sauce then topped with spiced ground beef and lots of cheese in this family friendly Taco Casserole. Originally posted July 9, 2009 – I have a lot of recipes here on Taste and Tell. But my favorite thing is when I get comments or emails from readers who have made and loved a recipe. 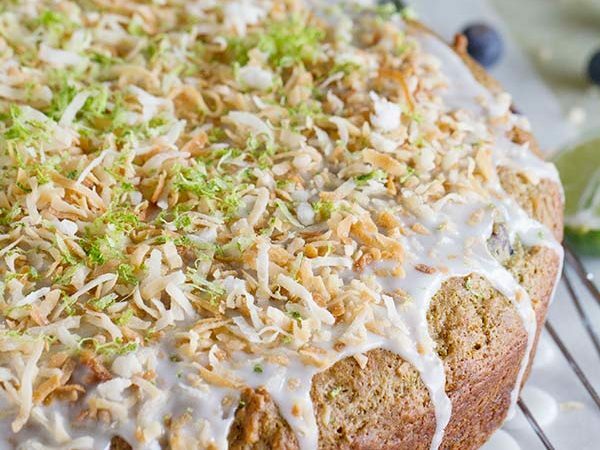 This recipe is one that has gotten some great feedback, so I thought it was time to re-share! My entire family actually ate this taco casserole, which is a miracle in and of itself. (Well, Easton mostly just ate the biscuits and picked out the cheese, but it’s progress!) My husband and I couldn’t help but go back for seconds. It may not win any beauty contests, but your family will love it! I have to admit – sometimes you all surprise me. I’ll post something that I don’t think will be very popular, but it ends up getting the most love. 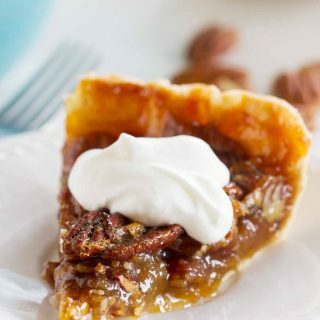 Usually the sweet treats are the most popular, but the sweet and simple recipes always get a lot of love. It just goes to prove that I really think most of us like simple, easy and fast food! 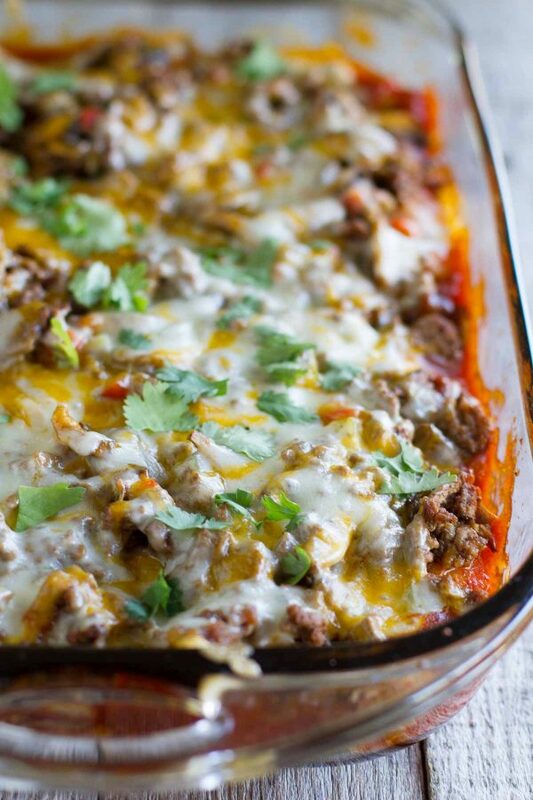 Here is another taco twist – a taco casserole. This recipe was in my recipe box, written on a card, so I have no idea where it came from. My guess is that it probably came from my mom – I should call her and ask! I know it’s not much to look at, but it sure did taste good. In fact, I wasn’t even going to post about it, but my husband liked it so much that I decided I needed to share! 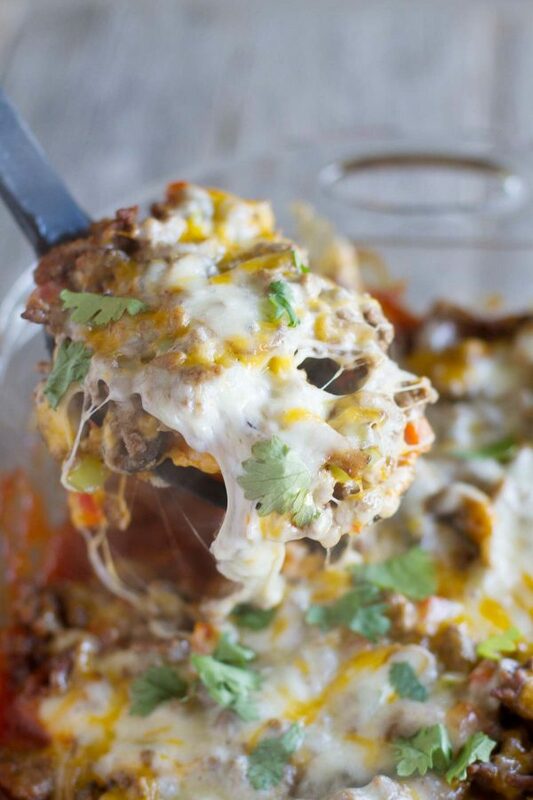 This taco casserole recipe is a little bit different as you use canned biscuits for the base. Yep – the biscuits that you find in the refrigerated section of your grocery store. They are covered in taco sauce, then cheese, and baked until the biscuits are cooked. To that with cooked ground beef, peppers and mushrooms. Layer in more cheese, then back into the oven until the cheese melts. It’s as easy as that! 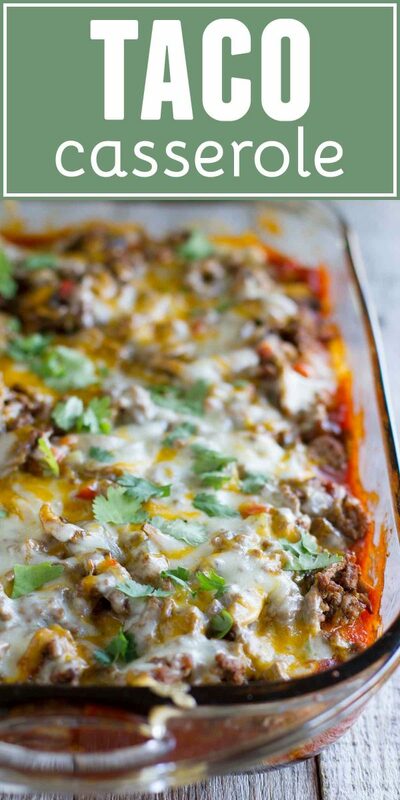 This Taco Casserole is an easy way to change up Tex-Mex night! Preheat oven to 400ºF. Lightly grease a 13×9 inch baking dish. Spread taco sauce evenly over bottom of dish. Separate dough into biscuits. Cut each biscuit into 4 pieces. Place biscuit pieces in hot sauce, turn to coat. Sprinkle biscuits with half of the cheese and the olives. Bake for 15-18 minutes. In a large skillet, combine ground beef, peppers, mushrooms, cumin and chili powder. Cook until ground beef is cooked through. Sprinkle the ground beef mixture over the baked biscuit mixture. Top with the remaining cheese. Bake an additional 5-7 minutes, until cheese is melted. Serve topped with chopped cilantro, if desired. *I have also made this recipe successfully with a 12-ounce can of biscuits, but I find that the 16.3 ounce biscuits are easier to find. You can use either size. OMG, I love that kind of Taco Casserole! So addictive and tasty! I love that it's all in one dish! My hubby & I would love it! That looks delicious, wish I wasn't surrounded by picky eaters…. Oh my goodness this is one great dish! I would love to try this. Mmm, that sounds great. 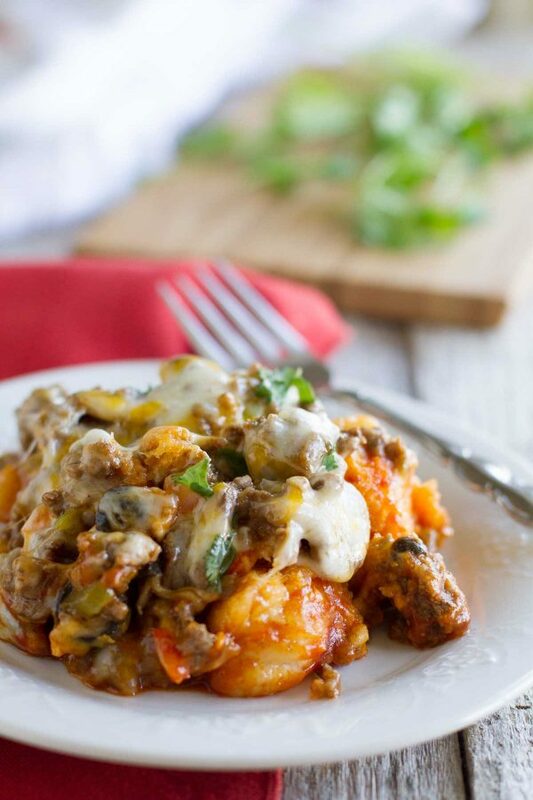 I make a La Bamba casserole (from Cooking Light) occasionally, but anything with melted cheese like this is good in my book! Sometimes the unphotogenic recipes are the best ones. Or maybe that's just my excuse for poor photography. Anyways, it looks and sounds delicious! Looks easy! Great for rushed nights! I have been looking for something to use up some biscuits I have in the fridge! This looks like a winner, thanks. 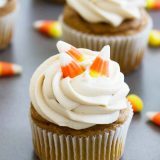 This one looks yummy, too! 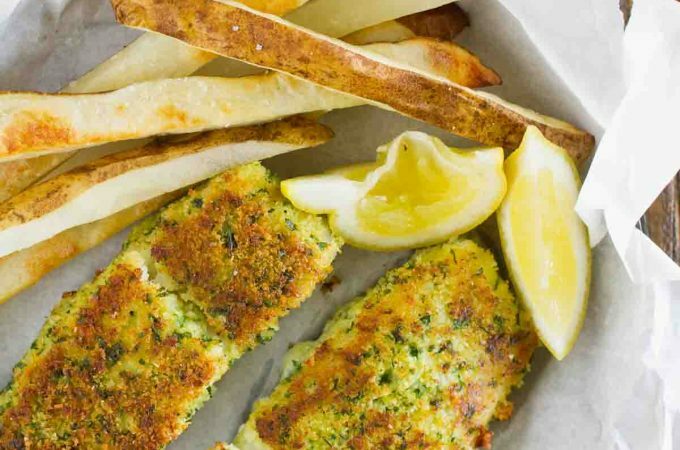 The only issue I have is that this one so similar to the other recipe my kiddos WILL complain as they do not like to eat the same thing twice within a two (maybe three) week span. They love variety and only complain if they think I'm repeating a recipe. Which would you say is the better of the two that way I'll try that one first. Ingrid – I'm not sure which I would say was better! I probably liked the stir fry better, but I know my husband liked this one better. I'm guessing that kids would like this one better because of all the melty cheese! Hi, great blog!! This looks great, my family would love it! 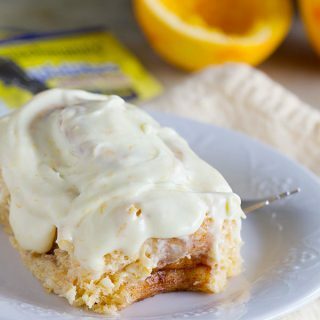 It looks great and easy to make! My spouse would love it! Mmm this sounds awesome and flavourful! Love the addition of buttermilk biscuits. I think it looks delicious! 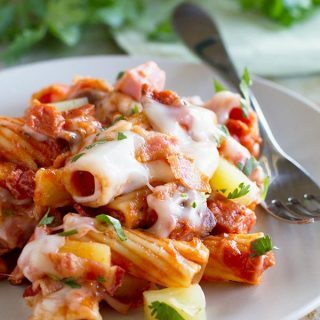 I'm a simple girl at heart and love quick easy "casserole" type dishes. mmm…this is even better than the stir-fry! all hail the power of canned biscuits! I had to copy your recipe. I will be making this for my husband soon as he loves tacos. OMG – I love this I am so excited to try this one!! What a perfect and simple meal! I'm an a Mexican food kick and that sounds YUMMY! You could even eat tortilla chips with the dish. Sounds yummy. This sounds really good!!! I can't wait to try it! I like this twist on a taco. It sounds nice and tasty! mmm taco casserole with biscuits instead of tortillas?! sounds tasty! This looks like an awesome middle of the week meal :)! So tasty. Oh…you had me at taco. All in a casserole. This looks so freaking yummy! Oooh this looks so good. My kids love tacos and want them at least once a week. This looks like a nice way to please the kids and myself! I am always looking for a new twist on tacos. This looks easy enough to throw together on a weeknight! Me again – this was great. I just posted it! oh heck yes. loving this! Love all the different layers of this dish, sounds delicious! That looks phenomenal Deborah! Totally putting on the menu. Biscuits in a taco ground beef taco mixture?! oh my goodness, I love this!! This sounds amazing! I cannot wait to try this one out! I made this last night….it’s soooooo good! I used ground turkey instead of beef and added onions. The hubby loved it too! I’D ADD SHRIMP/PRAWN TO THIS DISH. made this for supper tonight and it was wonderful, I added an onion to it and salt pepper and garlic and served it with sour cream. I would defiantly cook it again. This looks so yummy! Just wondering what you mean my taco sauce?? …taco seasoning..? thanks! Nope – it’s a condiment called taco sauce. You can find it in the Mexican food section at the grocery store. It is a liquid. Hi, I wanted to make this but I do not know what Taco Sauce is. Do you mean hot sauce? Please help!! Thank you so much for this recipe. I made it for supper today and my husband said it was fantastic! 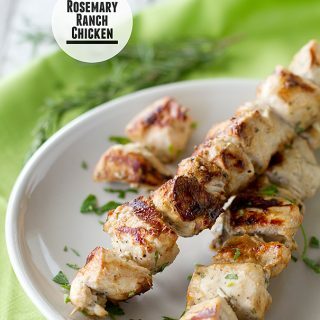 Will make it again for my grownup kids when they come over for supper…it’s quick and easy. Found this recipe interesting, just wondering as to what kind of taco sauce are yu referring to! The powder or liquid sauce ? It is a liquid – you should be able to find it in the Mexican section of the grocery store. Have you considered printing the posts from people that “actually” made this recipe. 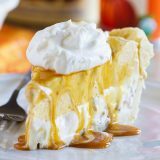 Ooh, this looks good, I got to try this, my family will love it, I have it pinned, These comments don’t do a thing for people considering making this recipe. I’d like to see honest reviews to decide if I want to maake this, if it needs changes, or if its a disaster. This looks yummy making it tonight but I’m adding lettuce and tomatoes after it’s done, to make a taco salad. Thanks for the great ideas. I made it last night and it was delish!!! Only things I did differently were to add onion to the burger browning step and omit the cilantro at the end. I kept the olives cold and used them with chopped tomatoes and iceberg lettuce as a taco topper for each serving. I will make this again. And I shared it with a lot of people on Facebook to try! Thanks for a good one! Did you use fresh or canned mushrooms? Yay – I’m so glad you liked it! Just had my first bite! However, since I can’t follow instruction, I thought it said taco seasoning, not sauce. ugh So I traded for my husband’s salsa. Oh my! This is delish! I can’t wait for him to come home from work and taste it! OMG! I found your recipe on Pinterest and just made it tonight! It’s amazeballs! Seriously, I’ve never used biscuits for something like this, and I’m not a very good cook, but this was a major winner. I didn’t use mushrooms or olives, because I’m not of fan of either, so instead I added onion, black beans and corn. The husband loved it. Its going into the rotation and now I need to find more things on your site! 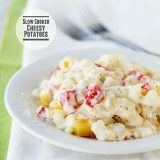 We love this recipe and i am making it for a friend who is wanting frozen meals as a gift instead of an actual gift for her baby shower. Not quite sure how to go about prepping that for her? has anyone tried to freeze this?